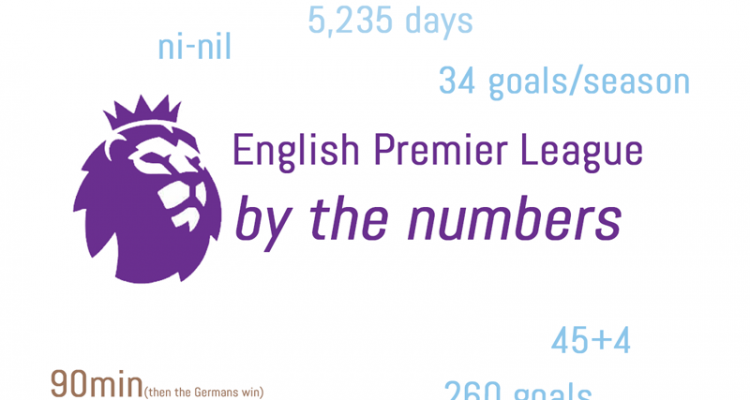 EPL by the Numbers 2018-19 #18. Click for more. The weekend started with a wild 4-3 win for the Wolves, who blew two leads before finally winning in the 93rd minute. Liverpool then had to come back from a 1-0 deficit and 2-2 scoreline to win in the 93rd minute themselves, though in their case down a man. It’s the sort of win that champions seem to have a few of on the road to a title and was particularly important as City and Tottenham both won Sunday, with the latter also doing so in the 93rd minute (2-1 over Fulham, after trailing 1-0 after 17’). The biggest matchup of the weekend was the late game Saturday, with fellow struggling sides Chelsea and Arsenal facing off. Arsenal won it 2-0 to shrink the deficit to the Top 4 to three points, with United beating Brighton 2-1 earlier to stay even with the Gunners. At the other end of the table, Newcastle jumped out of the bottom three with a 3-0 win over Cardiff City, who took their place in 18th. Fulham and Huddersfield both lost to stay in 19th and 20th, respectively. Around Europe, Barcelona won again, 3-1 over Leganés, to maintain their five-point lead over Atlético, who won 3-0 at Huesca. Real Madrid, meanwhile, won a huge showdown with Sevilla 2-0, to hop above them into third by three points, though still 10 behind the leaders. Dortmund had a big 1-0 win at RB Leipzig to maintain their six-point lead over Bayern Munich, who won 3-1 at Hoffenheim Friday night. Leipzig is down to fourth, with Monchengladbach now in third, nine points back. Juve kept their nine-point lead with a 3-0 victory over Chievo, with Napoli (2-1 over 10-man Lazio) and Roma (3-2 over Torino) both winning as well. Inter Milan fell further behind after settling for a home 0-0 draw with Sassuolo while crosstown rivals Milan won 2-0 at Genoa Monday, to return to fourth place. In Ligue Un, PSG is still up 13 points after a huge 9-0 victory over league-worst Guingamp. And the NFL season neared its conclusion with the NFC and AFC Championship games Sunday both going to overtime for the first time in league history. The LA Rams upset the New Orleans Saints by coming back from a 13-0 deficit to win it 26-23 in OT and then the Patriots did the same thing, 34-31 at Arrowhead Stadium over Kansas City. So the Patriots are in the Super Bowl yet again and will be joined by the upstart Rams. The home teams had won the last 10 Championship Games, but both lost Sunday. Brady extended his own record by making it to his ninth Super Bowl and the Pats a record 11th. 0 for 1 – Roger Federer, who won the past two Australian Opens, could not convert a break point against 20-year-old Stefanos Tsitsipas on the way to a stunning 6-7 (13-11), 7-6 (7-3), 7-5, 7-6 (7-5) loss in the fourth round Sunday. At 37, the oldest man left in the draw was playing the youngest and one wonders how many more chances the Swiss legend will have to win another Slam, with the younger Nadal breathing down the neck of his record 20 and Djokovic still in with a shout to surpass him. The rising Greek star won by converting the only break of the entire match (in only 3 attempts) to win the third set and holding his nerve in the last two tie breakers. Some are comparing him to a younger Fed, having come to the net 68 times in four sets and winning 48 of those points. Federer won an incredible 50 of his 66 points at the net, but still fell just short. 0-23 – The Rams had never come back from a seven+ point deficit in their playoff history. They had a first quarter to forget Sunday, with only 15 yards, no first downs, an interception from a dropped pass, and an offsides on fourth and two on defense that led, a play later, to a 13-point deficit. They then scored 10 in the second, 13 more in the second half and ultimately won it with a playoff record 57-yard field goal in OT. Many would argue they shouldn’t have, after failing to go for the win from the one-yard line and then benefitting from one of the worst no calls you will ever see late on, but the Rams don’t care. 1 of 17 – Arsenal have lost only one of their 17 home matches in all comps this season, following their comprehensive 2-0 victory over a suddenly struggling Chelsea. Lacazette opened the scoring with a lovely turn and roofer and then Koscielny, the clear man of the match, made it two with a serendipitous ricochet off his shoulder from a lovely Sokratis pass. Emery has now, after losing his first two against the other members of the Top Six, beaten Chelsea and Tottenham and drawn with Liverpool and United. 2-2-2 is not a bad start to life in the EPL and much better than Wenger has been over the last decade. Lacazette’s stunner settled the nerves and set Arsenal on a path to victory. It was his eighth goal in the league and 10th overall this season. 4 – The aforementioned Gunners victory was only their fourth clean sheet all season. Chelsea dominated possession with 64 percent but only one of their 13 shots was on target (Arsenal managed 5 of 13 on target and, of course, two of those went in). With Cech just announcing his retirement and Arsenal having conceded the most goals in the Top 5 (32), by 9 over Tottenham’s 23, it was an important moment for a defense that has suffered injuries and mistakes much of the season. 4 – There were four red cards in Ligue Un this past weekend, with both Strasbourg and Monaco seeing red in a 5-1 victory for the former, Caen losing 1-0 to Marseille after a red and Dijon losing by the same score at Bordeaux after their own sending off. There were no reds in PSG’s absurd 9-0 victory over Guingamp, currently at the foot of the table on 14 points from 21 matches. 4-3 – Wolves started the weekend off with a 4-3 win over Leicester to continue their impressive return to the top flight by hitting eighth place in the table. And then Liverpool won by the same score to maintain their four-point lead over City. Wolves’ Diogo Jota scored the winner, his third goal of the match, as they continued an impressive season back in the top flight of English football. 6-0 – Drew Brees has had an incredible career, particularly since moving to the Saints, including a Super Bowl ring. But they have not gotten back to the Super Bowl since 2009, and one big reason is they haven’t had home field advantage since … until this season. Brees was 6-0 at home in the playoffs coming into their matchup with the Rams Sunday, but, as noted above, they lost it OT after a pretty tough no call would have allowed them to run out the clock and score the winning field goal in regulation. Will the aging star get another chance like this? 7 – Ole! Solskjaer made it 7 in 7 to extend his record start as United manager. Pogba opened the scoring from the spot and Rashford scored in his 150th appearance for the Red Devils, continuing his purple patch after struggling in limited action earlier in the season. Next up for the manager putting a further dent in Mourinho’s resume at the moment is the Gunners in the FA Cup Friday night. Pogba continues to remind us that he can be one of the best midfielders in the world … when he wants to. How long will the current hot streak (5 goals and 4 assists in last 6 matches) last? 10 – It took five sets and some luck, but Spanish tennis player Roberto Bautista Agut finally got past the fourth round of a Grand Slam … in his 10th try, beating previous Australian Open runner-up Martin Cilic 7-6 (8-6), 3-6, 2-6, 6-4, 6-4. 12 – Tom Brady had led 11 come-from-behind victories in the postseason alone heading into Sunday. He had a chance at his 12th Sunday night, down 4 with 2:03 left on the clock, and led the Pats for a TD to take the lead, until Patrick Mahomes led his own side down the field to score the game-tying field goal. Of course, he then led them to an OT win by going 3 for 3 on third down as they marched down the field for the winning TD. 12 – Arsenal and Leicester are tied with the most points from losing positions this season, with 12 apiece. Leicester had a chance to add to that total after coming back twice Saturday, only to lose to the Wolves in stoppage time. 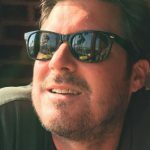 Liverpool, who turned 0 into three right after that match, are up to 10 (in only five deficits all season) and Manchester United are tied with three others (including Wolves) at 9. Tottenham’s win Sunday was their first all season from a deficit, having lost the other 6 times that was the case. City, by the way, are 17th, having only earned a solitary point when behind, which has been the case only 4 times this season. Newcastle (12) and Southampton (11) are the only two sides to have earned no points from a losing position all season. 12 of 20 – Lifetime completion record for Rams’ punter Johnny Hekker, who threw a perfect pass on fourth and long to finally get the Rams their first first down of the game – in their third possession. Incredibly, 11 of Hekker’s 12 completions have been for first down. The fake punt led to 3 points and the longest play for the usually high-flying Rams offense (12 yards) until there was less than two minutes left in the half! 17 – James Harden made it 17 straight games with 30 or more points, breaking a tie with Kobe Bryant for most consecutive games with at least that rally. He set the record with 57 points a week ago Monday. Since then, he has scored 58, 48 and 37 in his last three, though the Rockets lost two of those games. Harden, by the way, looks likely not to start the all-star game after being outvoted by Curry and comeback-kid Derrick Rose so far. The same looks likely to be the case for Kevin Durant, who some believe is top 3 in the league at present (but is fourth in the Western Conference frontcourt alone). 17 – Speaking of 17, Drew Brees threw a TD pass to the 17th different receiver this season in their playoff loss Sunday, having already set the record with 16 during the regular season. Yet another record in a long list of records for among the greatest QBs of all time. 17 – And in the oddest of the 17s, the more offensive Ross Barkley and defensive-minded Mateo Kovacic have been swapped 17 times this season by Chelsea manager Mauricio Sarri. Some have started to doubt his management as Chelsea’s results have worsened in recent weeks, but it is hard to win when the conversion rate is so low and there is no clear central striker. That could all change this week if Higuaín does indeed make the move from AC Milan, with flop Morata rumored to be headed to Atlético Madrid. The most popular swap in the EPL this season was unable to turn things around for Chelsea Sunday. 38 – Points scored in the fourth quarter of the AFC Championship game with four lead changes and a game-tying field goal with 8 seconds left. That is, not surprisingly, a record. 41 – of 50 times the Saints have gone for it on fourth down over the last three seasons, they have converted! They made the first attempt Sunday, on the road to their first touchdown of the afternoon and a 13-0 lead over the Rams. The Rams converted a fourth down themselves, the fake punt mentioned above. 51 – Fulham’s 2-1 loss to Spurs, after holding an early lead, means they have conceded an incredible 51 goals this season. That would lead to 84.26 goals over the course of the season, still 16 short of the 100 than Swindon town allowed in 1993-4 and 3 less than Derby’s 89 in 2007-08, but still a rather sizable haul. Liverpool, by the way, even with the 3 they conceded Saturday, have only allowed 13 all season, 4 better than the imperious City defense. The record for a season is 15, by Chelsea in 2004-05. Tottenham celebrated Harry Wink’s 93rd minute winner, as they kept pace with Liverpool and City. It ended a four-match winless streak and might have restored a little confidence before the second leg of their Caribou Cup semifinal Thursday at Chelsea. 58 – Touchdowns in 61 career games for Todd Gurley, who scored the first Rams’ touchdown with only 23 seconds left in the first half, to make it a three-point game, after doing almost nothing all half, besides allowing the Saints interception (by missing a pretty easy catch that caromed off him and led to three points), dropping a ball that would have been a first down on third and long and rushing for only 4 yards on 3 carries. 93 – In case you didn’t notice in the first paragraph above, three teams won with 93rd minute goals – Liverpool, Wolves and Tottenham. It was a weekend of goals in general, with 33 in total and only six sides failing to score out of the 20 – with two in the 0-0 draw between Watford and Burnley. As a comparison, there were only 21 last weekend. Mane slots in the winner as Liverpool kept their tenuous four-point lead at the top. 237 – Tom Brady threw that many playoff passes in a row without an interception until he threw a very costly one from the one-yard line that cost the Patriots at least three points on 3rd and goal with a chance to make it 10 or 14-0 at Arrowhead Stadium early in the second quarter. It was also his first in 78 postseason red zone possessions, but added to his record 32 playoff INTs; really a record of success rather than failure, as he also has the most wins (28) most appearances (38) and, of course, most Super Bowl wins (5). He threw his second in the fourth quarter, off the fingertips of Edelman, and the Chiefs turned that one into 7 points and their first lead of the game. 561 – Points scored by the Kansas City Chiefs this season, the most in the league. However, as they did to the high-flying Chargers last week, the Patriots shut down an offense that has scored at least 25 in every game this season, holding them to 75 yards and no points in the first half. It was the first time the Chiefs were held scoreless in the first half under Andy Reid. The Patriots thus outscored their two playoff opponents 49-7 in the first half. However, the Chiefs, led by Patrick Mahomes, scored four touchdowns in the second half, only to lose in heartbreaking fashion in OT. October 18, 2014 – The last time Tottenham started a match without both Harry Kane and Son Heung-min, the former out for at least six weeks with ligament damage in his ankle and the latter at the Asian Cup for at most three more matches. They found themselves down 1-0 at Fulham Sunday, but equalized through an Ali header right after halftime and then won it late to keep pace with City and Liverpool. No Comments on "EPL by the numbers: Match Week 23, Liverpool and Tottenham come back to earn wins while Arsenal gets back in the top 4 race"